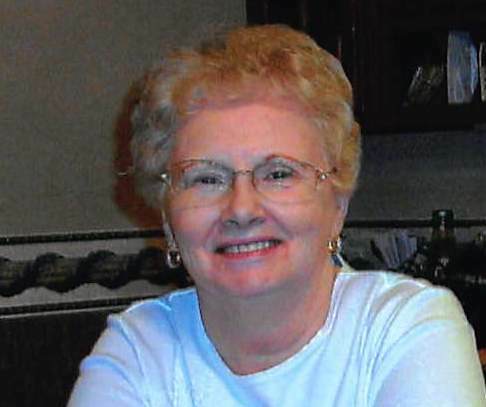 Nelda K. (Thatcher) Wells, 76, of Spencer, went to be with her Heavenly Father on October 30, 2018. She passed away at the I.U. Health Bloomington Hospital with her family by her side. Nelda was born in Owen County on August 21, 1942 to Isaac N. and Kathryn A. (Fulk) Thatcher. She married the love of her life Gerald L. Wells on June 20, 1959. Nelda attended Coal City High School. She was a member of the Spencer First Christian Church and retired from the Owen County Welfare Department. Nelda loved spending time with her family. She enjoyed sewing, making crafts and reading. Nelda is survived by her mother, her husband, children, Darla and husband Bill Thomas of Spencer, Kevin and wife Kelli of Coal City, six grandchildren, seven great-grandchildren, brothers, Ronnie and wife Marcella Thatcher of Worthington, Mike Thatcher of Worthington, Clifford Thatcher of Worthington, sisters, June and husband Hugh Shouse of Moorseville, Judy and husband Billy Cooper of Brazil, Phyllis Rogers of Bloomington, Janet and husband Bob Terrell of Worthington, Linda Richardson of Worthington, and several nieces and nephews. Nelda was preceded in death by her father. Funeral services will be 2:00 PM, Saturday, November 3, 2018 at the West & Parrish & Pedigo Funeral Home in Spencer. Dr. Allan Lewis and Dr. Diane Wells will officiate. Burial will follow in Chambersville Cemetery.